Palmers Scaffolding UK are proud to be supplying a bespoke scaffolding service and modern access solutions at the prestigious, £34.5 million VINCI Construction UK Devonshire Park re-development project in Eastbourne. 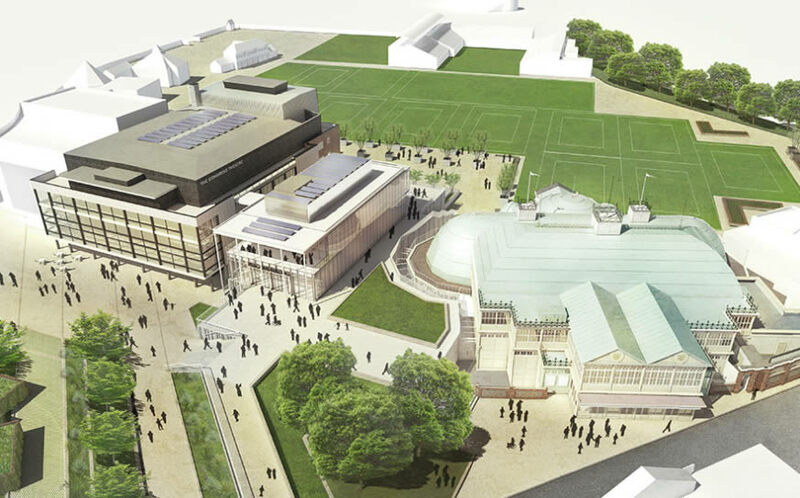 The project is creating a nationally important cultural and tennis destination and includes internal refurbishment repairs to the Congress and Devonshire Park Theatres and the famous Winter Garden, as well as a re-modelling of its front entrance and a renovation and redecoration of the historic tennis pavilion. And a new show court is also being created as part of the development. The large-scale construction contract will span a two-year period and Palmers have initially been drafted in to provide scaffolding and access to the Devonshire Park Theatres.